THE openly-gay grandson of Hollywood legend Omar Sharif has appeared on national TV in Egypt in an interview that did not shy away from the culturally-taboo subject of his sexuality. 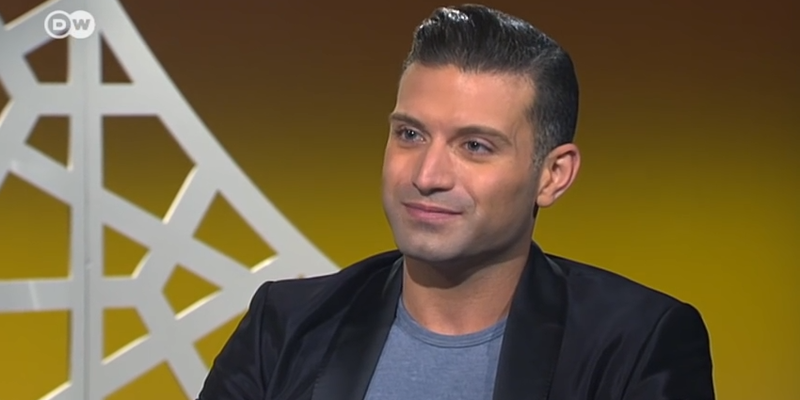 Appearing on Deutsche Welle Arabic news program Shabab Talk, Omar Sharif Jr said his homosexuality was never an issue with his late grandfather. [showads ad=MREC]“Before anything, in the eyes of my grandparents, I was their grandson,” Sharif Jr told journalist Jaafar Abdul Karim. It was also Sharif Jr’s first appearance on Arabic TV, which was also used to promote the actor’s upcoming film The Secret Scripture. 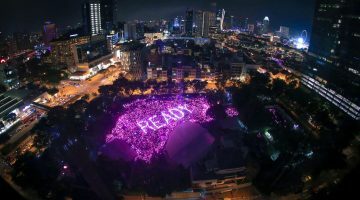 With over four million people reportedly tuning in, the interview has been hailed as the first time many in the Arabic-speaking world have heard stories of being gay in an Arab culture coming directly from a gay person. In Egypt alone, while homosexuality is not explicitly illegal authorities have a history of cracking down down on gay citizens via the supposed abuse of public decency laws, scorning religion or “debauchery”. A recent surge in the state-sanctioned persecution of LGBT Egyptian citizens has also attracted worldwide criticism, such as the arrest of 26 men after a Cairo bathhouse raid in December. The men were all eventually cleared of charges in January. Sharif Jr, who is also an ambassador for US-based Gay and Lesbian Alliance Against Defamation (GLAAD), said in his interview that he hoped the Arab world realised he is still a human being. “I’m a son, I’m a brother, I’m a coworker, I’m a friend. I am not a fact, or a figure or a statistic. I’m not a moral an ethical debate,” he told Karim. The 32-year-old was also asked to respond to those who accused him of “smearing” his grandparents’ image and reputation. “I think the best thing I can do in life is to live openly, authentically and happily, and I am doing that,” he said. “I know I am making them happy because that’s all they would want me; they would want me to be happy. 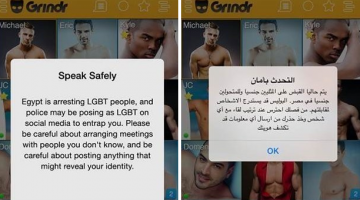 He also provided advice for Arab youth who were struggling to come to terms with their identity in cultures where homosexuality is a serious taboo. “If I had one advice to give, is to be open enough to be who you are,” Sharif Jr said. The Montreal-born actor told Out magazine afterwards that he was “thrilled” with how his interview turned out. “The topics of religion, sexuality, and politics we’re covered respectfully,” he said. Both of Sharif Jr’s paternal grandparents are much-loved actors in the Arab world. His grandfather, who is best-known in Hollywood for his roles in Dr Zhivago and his Oscar nomination in 1962 classic Lawrence of Arabia, died in July after suffering a heart attack. He had been living with Alzheimer’s disease in the months leading up to his death. Sharif Jr was educated both in Canada and in Egypt and had a fledgling acting career in the Middle East before he moved to the US in 2011. 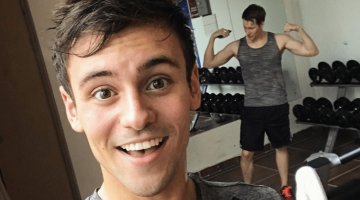 He grabbed headlines after sharing his coming out story with The Advocate in 2012, in which he also disclosed he is half-Jewish. Other well-known openly-gay identities in the Arab world include Hamed Sinno, the lead singer of Lebanese rock band Mashrou Laila, and Morrocan filmaker and writer Abdellah Taïa.